This Thursday, Tricia will be participating in an interactive panel discussion at the New York State Design Conference in Saratoga Springs, NY. Her session, “Transforming El-Space Across New York State,” will explore the opportunities and challenges of reimagining the underutilized spaces beneath elevated infrastructure. Building on the theme of interconnected relationships between a range of design professionals, she shares the stage with Susan Chin of the Design Trust for Public Space, Neil Gagliardi of NYCDoT, and Leni Shwendiger of Arup. Elevated infrastructure divides communities across New York State, from train lines in the Bronx to highways in Syracuse. The negative impact of this infrastructure is well documented, but less well known are nascent attempts by nonprofits and municipalities to reclaim this ‘el-space’ for the public. Creative design and extensive cooperation between design disciplines and government agencies can transform these unique urban sites into safe, attractive, and environmentally friendly connections between communities. Join the Design Trust for Public Space, Design Trust Fellows, and the New York City Department of Transportation, for an engaging conversation on the challenges of el-space design. The session will focus on the lessons learned from Under the Elevated, a comprehensive analysis of the space beneath New York City’s elevated infrastructure, and El-Space pilots, a series of neighborhood-based tests of strategies. The rich design possibilities inherent in el-space will be discussed, along with successful multi-agency collaboration strategies and meaningful community engagement ideas. Innovative urban design, lighting, and green infrastructure solutions will also be shared. For the full schedule and more information about the conference, click here. On July 1st, Tricia traveled to Hungary to present a New York perspective on Landscape and Greenway Planning with “Greenways as Resilient Infrastructure: The Brooklyn Greenway Case Study.” The peer-reviewed paper was part of a larger publication titled “Landscapes and Greenways of Resilience“ (Jombach et al, 2016). Tricia shared the stage with panelists from Colorado, Washington, Poland, China, and Serbia. Tricia Martin (WE Design) – Greenways as Resilient Infrastructure from Regional Plan Association on Vimeo. Watch Tricia’s lightning talk “Greenways as Resilient Infrastructure” online for a 5 minute introduction to the ways in which greenways can protect and enhance their surrounding communities, using the Brooklyn Waterfront Greenway project as a case study for resilient infrastructure. WE Design and The Brooklyn Greenway Initiative presented The Brooklyn Greenway: An Agent for Green Infrastructure, Climate Change Adaptation and Resiliency at the Brooklyn Borough President’s Press Conference. 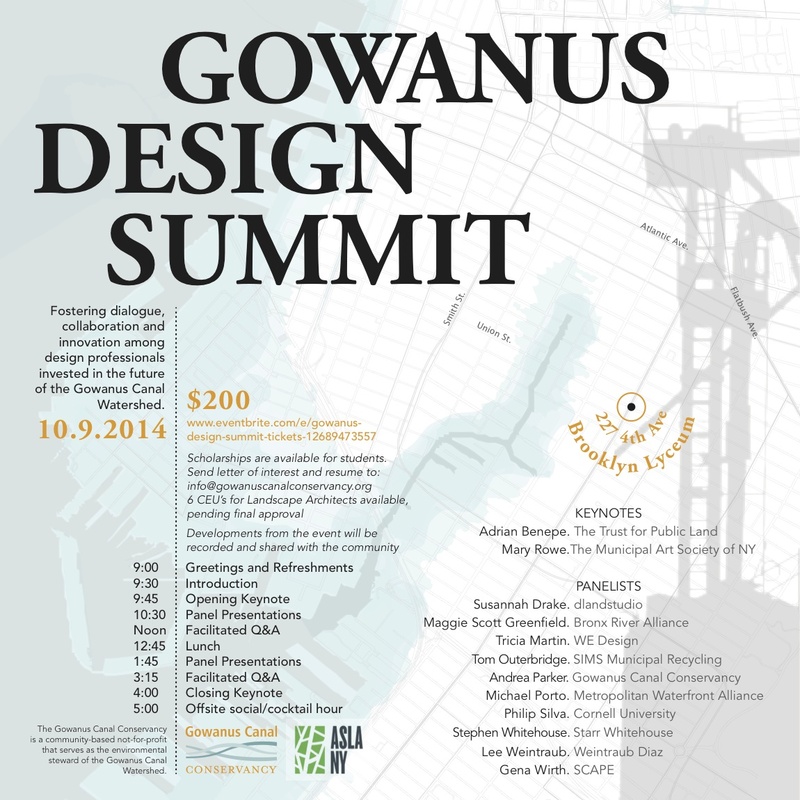 Tricia presented the Brooklyn Waterfront Greenway’s Design Guidelines for Green Infrastructure, Climate Change Adaptation and Resiliency at the Gowanus Design Summit in October. The Summit brought together a dynamic group of design-oriented professionals who are shaping the future of the Gowanus Canal Watershed, with the goal of fostering dialogue, collaboration and innovation. Because of Tricia’s work on The Brooklyn Greenway, she was asked to participate as a panelist and engage in an active Q&A.